Do you feel a cold chill in the air? It must mean that WINTER IS COMING! … Or that it’s time for the return of everyone’s favorite fantasy TV show, Game of Thrones. If you’re as excited as we are, then you can’t wait to watch dragons fly over Westeros, white walkers attack The Wall, and (hopefully) the return of Jon Snow. Expand your knowledge of Game of Thrones with this extremely detailed guide to one of fantasy’s most complex storylines. Who was with Ned Stark when he marched on the Tower of Joy? What ever happened to The Hound’s brother? Is Lady Stoneheart really a zombie? If you’re interested in a quick refresher on Game of Thrones before the season six premier, then this is the book for you. There’s one thing that every Game of Thrones viewing party needs, and that’s snacks. Feed your friends exotic sweets, alchemy-inspired cocktails, and hearty mutton stews, all inspired by George R.R. Martin’s magnificent imagination. Every recipe is inspired by the Game of Thrones universe, which means you’ll be eating like a true Lannister. 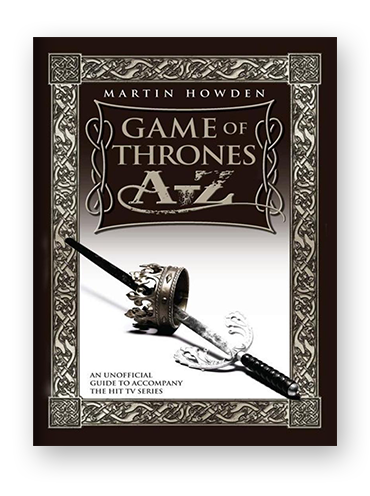 Put your fandom to the test with the ultimate Game of Thrones quiz book. 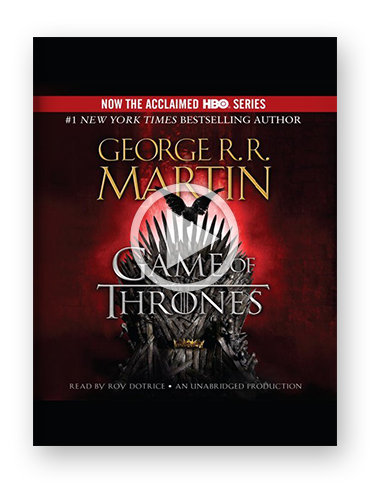 This collection contains 300 trivia questions that will make even the most seasoned GoT fan feel the heat. Remember: you either win the Game of Thrones trivia or you die! Well, not really, but you still can have a lot of fun. It’s hard to think of Game of Thrones without humming the iconic theme song in your head. Written by the world-famous Ramin Djawadi and arranged by Mark Fowler, The Game of Thrones main title song is one of television’s finest compositions. And, finally, if you’ve not yet explored the endless realms of Westeros, or if you need a refresher on what’s going on in King’s Landing, then why not try listening to the story that started it all? A Game of Thrones is the first book in the Song of Ice & Fire, and the inspiration for the hit HBO series. It’s also one of the most critically acclaimed fantasy stories of the modern era, and easily one of the most character-driven of all time.